Irving Street Kitchen serves casually elegant American cuisine, meant for sharing with friends and family in an energetic, grand space. Chef Sarah Schafer leads her tight-knit team, working together to guide guests through the story of her East and West coast influences. Fascinated by classical techniques and the science of cooking, Schafer’s training and experience provide the backbone of her thoughtful, creative menu. One of Portland’s powerhouse female chefs, she hails from some of the country’s most respected restaurants, including Gramercy Tavern and Eleven Madison Park in New York City. Located in the heart of the Pearl District in Portland, Oregon, the restaurant’s name is a nod to the authenticity of Julia Child. In addition to warm, professional hospitality, Irving Street Kitchen offers an exceptional list of signature, handcrafted cocktails, exclusive local wine and beer on tap and an extensive bottle list. Order Irving Street Chicken to go! 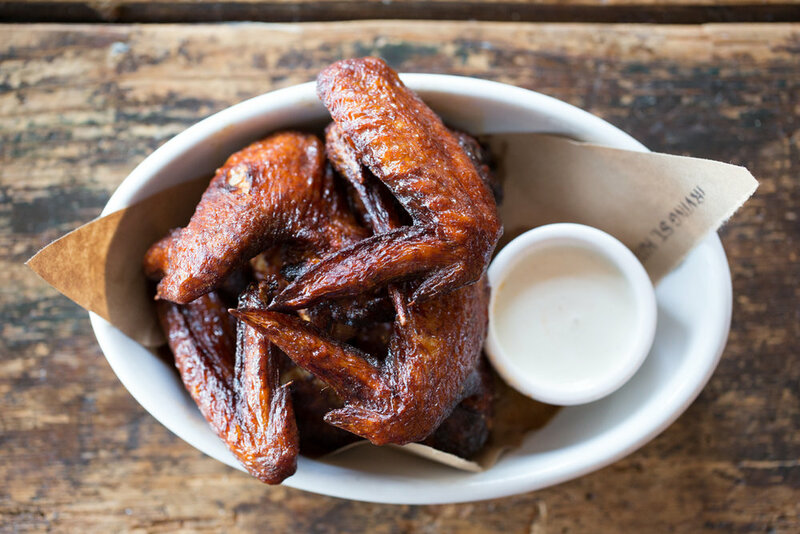 Order by half, whole or double birds along with your choice of sides. Can't decide? Order the family bucket. Includes a whole bird (6 pc), smashed potatoes, red-eye gravy, choice of collards or slaw, and 4 biscuits.